We provide second-to-none strategic counsel to help you confidently navigate any challenge on the horizon. With more than 50 years of combined experience mitigating and managing issues and advocating for policy change at the highest levels, our team offers unrivaled expertise in public affairs, media relations, professional crisis management, litigation communications and crisis preparation. Jeff Eller brings a wealth of knowledge and experience to clients in the areas of US politics and litigation, crisis management and crisis preparedness. He is the founder of The Jeff Eller Group based in Austin, Texas. Throughout his career Jeff has orchestrated the media, lobbying and communications strategies for multiple leading corporations in high-profile crisis situations, including the Firestone tire recall and the GM ignition switch issue. His political savvy is second to none and his multifaceted strategies for mitigating issues and advocating for policy change have proven successful time and time again. Eller’s instincts are strong and his connections are deep, which enables him to navigate clients through crises of all kinds, including those that bleed over borders. Before founding his own firm, Eller served as the chairman of Public Strategies Inc., which he joined in 1994. During his time at Public Strategies, he led the company’s campaigns group, was promoted to president and CEO in 2006, and to vice chairman in 2009. He coordinated the Public Strategies team that handled the communications and public affairs counseling for a private equity buyout of a major energy company. Eller began working for then-Governor Clinton in December 1991; first as Florida state campaign director, and then as political communications director for the national campaign. He has been involved in numerous congressional and Senate campaigns, and worked for two members of Congress. Serving in the Clinton White House as deputy assistant to the president and director of media affairs, Eller oversaw all regional and specialty media relations, as well as radio and television services. Prior to these political roles, Eller was an award-winning television and radio journalist. Today, Jeff Eller serves on the boards of latakoo, Zignal Labs, and The Texas Tribune. He is also a past board member for UsAgainstAlzheimers. Elisabeth Rutledge combines strong strategic vision with seamless tactical planning to deliver nimble and results-oriented campaigns. In her work with the Jeff Eller Group, Elisabeth draws from 20 years of experience in advocacy communication, strategic message development, coalition management, campaign development and reputation management. Elisabeth has worked with clients large and small to protect and enhance their brand equity and stakeholder relationships. Her clients have included some of the country’s best-known names in energy, health insurance, retail, private equity and transportation. 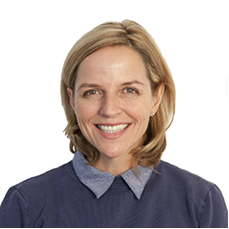 Before joining The Jeff Eller Group, Elisabeth was a senior vice president with Hill + Knowlton Strategies and a managing director at Public Strategies. Previously, Elisabeth worked as a communications and grassroots-organizing consultant for clients nationwide, including a workers’ compensation reform group, a labor union, and Leadership America, a national women’s program. Her first jobs were on political campaigns, performing press, field, and fundraising duties for several Congressional campaigns and former U.S. Senator Bill Bradley’s 2000 presidential bid. She graduated from the University of Texas at Austin with a degree in American Studies. Elisabeth is also a graduate of the Leadership Texas program. 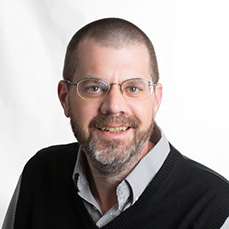 Tim Tessin has 16 years of experience providing media, policy, and political monitoring and analysis to clients in the public accounting, financial services, pharmaceuticals, pharmacy benefit management, aerospace, chemical, and automotive sectors. Prior to joining the Jeff Eller Group, Tim owned his own consulting firm, T2 Policy Intelligence, LLC. Previously, he was Vice President at Research+Data Insights, a subsidiary of Hill+Knowlton Strategies. He served in a similar capacity at Public Strategies Inc. prior to its merger with H+K. After receiving his B.A. in Philosophy from Michigan State University and his M.A. in Philosophy from the University of Illinois at Urbana-Champaign, he was a Research Fellow and then Lecturer in Philosophy at the University of Wales, Swansea, U.K.
Suzanne Geiger brings an array of communications experience to The Jeff Eller Group, having worked in journalism, corporate communications, and the nonprofit sector for nearly 20 years. Before joining The Jeff Eller Group, Suzanne was with The Texas Tribune as the organization’s development manager, where she stewarded donors and led successful marketing and communications fundraising campaigns using digital and traditional platforms, as part of a $6-million annual fundraising program. She also served as assistant development manager for the University of Texas at Austin’s McDonald Observatory, which included working on federal grant submissions to the National Science Foundation and NASA. She previously worked at Public Strategies, Inc., as a principal, working with small and large clients across a number of industries, providing messaging and materials to support their reputation, policy, and media-outreach goals. She executed targeted communications campaigns and contributed to grassroots advocacy efforts, including those involving legislative and regulatory issues. Suzanne combines strong research, media-monitoring, and communications skills — including advocacy and messaging — with an awareness of today’s fast-changing media landscape. Upon graduating from Colorado State University with a B.A. 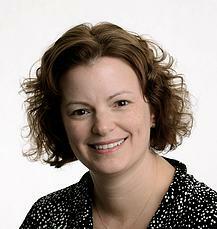 in journalism, Suzanne worked as an editorial assistant and features writer at the Austin American-Statesman. Mindy Noonan has worked as a trusted communications partner to leadership teams and CEOs around the world for public, private and nonprofit organizations. Her background in journalism, corporate, event, crisis and litigation communications has aided clients in the automotive, energy, healthcare, information technology, insurance, pharmaceutical, retail, and travel and tourism industries. 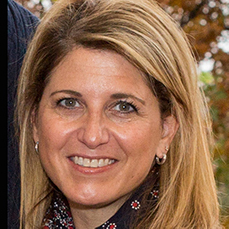 Prior to her work with The Jeff Eller Group, Mindy served as communications director for YPO, the premier leadership organization of chief executives in the world. While there, she led the team responsible for content creation and delivery across print and digital channels and platforms. Mindy’s team also supported marketing and communications for YPO’s flagship events as well as for its annual membership renewal campaign. She worked directly with YPO’s global chairmen on speech writing, preparation and delivery, and was the communications partner to the Chief Human Resources Officer, supporting the 300-person, virtual management team. She also served on the crisis assessment and response team. As a managing director at Public Strategies, Mindy consulted leadership teams from Fortune 100 and 500 companies. She helped lead the firm’s media training curriculum and served as a media spokesperson while supporting strategy and execution in many client war rooms. Before joining Public Strategies, Mindy worked at Perot Systems Corporation in corporate communications, first concentrating on internal communications and later creating and leading a media relations team to support the publicly traded company through quarterly earnings, mergers and media outreach. Right out of college, she earned her litigation communication stripes at Courtroom Sciences, Inc. This experience would later translate to work for the defense team in a high-profile murder trial, as well as for corporate clients facing myriad litigation and crisis issues. 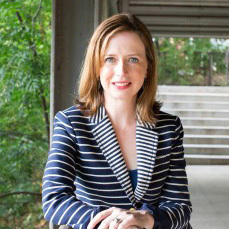 Mindy’s passion for journalism began as early as high school in Flower Mound, Texas, and carried through college at the University of Texas at Austin, where she earned a bachelor’s degree in journalism and worked in many roles over four years at “The Daily Texan” student newspaper, ultimately serving as its managing editor. She later earned a master’s degree in liberal arts from Southern Methodist University in Dallas, and also studied at the Universidad de Salamanca in Spain. Jennifer Waisath Harris brings more than 20 years of strategic communications, social media, grassroots advocacy, coalition management, crisis communications and media relations experience to her clients at JWH Communications. Prior to forming JWH Communications in 2010, Ms. Harris was a director with ROSS Communications, managing client accounts across several industry sectors including telecom, trans-portation and health care. Ms. Harris previously served as the spokesperson for the Texas Health and Human Services Commission, coordinating response and messaging for complex issues including Medicaid, the Children’s Health Insur-ance Program, outsourcing and state contracting. She was an integral part of the agency’s effort to pro-mote and defend a nearly $1 billion contract to modernize the state’s benefits system. At Public Strategies, Ms. Harris directed marketing and client activities for the firm’s International Group, of-fering her in-depth insight on communications and media relations to international and domestic clients, in-cluding a leading Mexican brewery and a Fortune 500 financial services company with operations in Mexico and the US. Ms. Harris worked for former US Ambassador to Mexico Tony Garza in a number of capacities over the past two decades and continues to support him on social media and management of his political office. During Garza’s tenure as Texas Secretary of State, Ms. Harris oversaw all correspondence and worked on a variety of special projects, including border and Mexico issues. She acted as political director and writer, handling grassroots, fundraising and media-related assignments during Garza’s historic 1998 election to statewide office. She went on to serve as Garza’s communications director at the Texas Railroad Commis-sion, as well as manager of Friends of Tony Garza, his political action committee. Ms. Harris holds a bachelor’s degree with honors in government and a master’s degree in journalism from The University of Texas at Austin. She is a past member of Austin Sister Cities International board of direc-tors, the Austin Area Texas Exes board and a former fellow with the Next Generation Project Texas at the Robert S. Strauss Institute for International Law and Security at The University of Texas at Austin. She also serves on the Advisory Council for Center for Women’s Leadership at Texas Woman’s University in Denton, Texas. 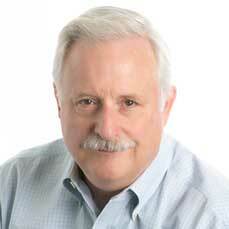 Jim McAvoy is an expert at designing and driving global internal and external communications. He has a proven track record of partnering with C-Suite executives on their most challenging issues. Jim is adept in transforming, training, and mentoring highly creative and effective global communications teams to deliver research based and outcome driven communications programs. Over the course of his career, Mr. McAvoy has built extensive experience in digital and mainstream external and internal corporate communications including advertising, data security communications, financial relations, grassroots campaigns, product marketing, media relations, public affairs, risk management and crisis communications. He has designed and managed marketing and communications programs for clients including Abbott Laboratories, Accenture, Altria, American Airlines, AXA, Chevron, Citigroup, Disney, Ford, Johnson & Johnson, Mattel, Monsanto, Radcliffe College, Sony, Stanford University Medical Center, State Farm Insurance, Sun Life of Canada, Telefónica, Texaco, and Visteon. He led Accenture’s corporate communications on issues, playing a senior leadership role in the firm's growth from pre-IPO to what is today a Fortune Global 500 company with more than 440,000 employees in 120 countries and $34.9B in annual revenue. Jim led all research and communications strategy for stabilizing and rebuilding HealthCare.gov after its failed launch by another provider. Working with the Jeff Eller Group, Jim drove the program that successfully promoted Accenture as saving the system and reset public opinion of the system’s performance in 12 months, securing a more than $100M annual revenue stream. He handled complex issues for Accenture such as U.S. Foreign Corrupt Practice Act (FCPS) allegations, UK Public Accounts Committee inquiries, U.S. national security matters, labor disputes and litigation, and whistleblower suits. In one instance he developed a strategy that successfully mitigating negative publicity that preserved the company's $2.5B Government unit's business. Before joining Accenture, Jim chaired Burson-Marsteller's Media Practice. 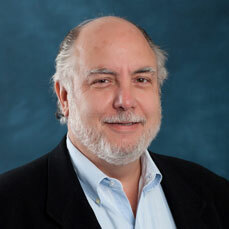 He created Burson’s media relations network in the United States, Latin America, Europe and Asia. He advised Oprah Winfrey in her successful effort to pass legislation strengthening federal laws against child abuse and served as a senior consultant to groups as diverse as The American Legion and the King Faisal Foundation; the Saudi Royal Family's charitable trust. The Jeff Eller Group delivers preeminent public affairs and media relations counsel, including professional crisis management, litigation communications and crisis preparation.